Free Shipping + Free Spandex Cover! 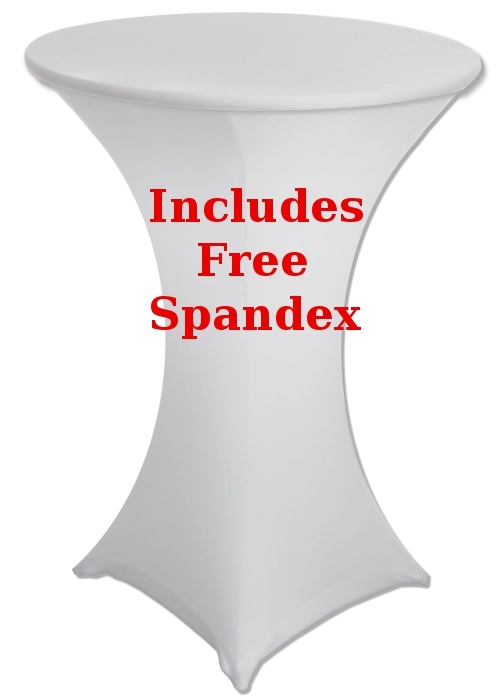 This 24" diameter x 42" height highboy table comes with a free spandex cover. The set includes the complete table, and linen. Just assemble and your done! White or Black spandex covers to choose from. Add a 2nd spandex cover for +$10. Get multiple colors, or 2 of the same.